Sugarman, MD, Muriel E. (Moldawer), of Brookline,MA - beloved wife and devoted mother, passed away February 6, 2019 from complications due to ill health. She was born March 7, 1936 in Philadelphia, PA, daughter of Nathan Moldawer and Minerva Lieberman. 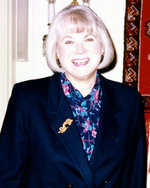 After graduating from Pennsylvania State University in 1957, Muriel earned her medical degree from Harvard Medical School in 1961, where she was part of the first class to accept women. Dr. Sugarman went on to become a leading psychiatrist specializing in Child and Adult Psychiatry, and devoted her career to helping adults and children in need. Muriel was a member of the Department of Child Psychiatry at Massachusetts General Hospital, a member of the Faculty at Harvard Medical School, and a long-time consultant at McLean Hospital in Belmont MA. From 1998 until her retirement in 2005, she was an Attending Psychiatrist at the Augusta Mental Health Institute in Augusta, ME. She has lectured extensively, presented at numerous conferences, and coauthored many books and published articles. Dr. Sugarman has provided testimony on proposed child abuse legislation in Massachusetts, New York, and the US Senate, and has been a qualified witness in numerous child abuse cases. In 1977 she was a featured guest on the popular Phil Donahue talk show. Muriel was the beloved wife of Leonard S. Sugarman for 55 years. She was the devoted mother of Julie A. Sugarman of Brookline, MA and J. Duke Sugarman of Boston, MA, the dear sister of Richard Moldawer and wife, Susan, of New York, NY, and their children Laurie Moldawer of Utah, and David Moldawer of New York, NY. Family and friends are invited to gather in the Burke & Blackington Funeral Home, 1479 Washington St., (Rte. 16), West Newton, for a time of greeting the Family, Sunday, Feb. 17 from 12 Noon - 1:00 PM, followed by a Service at 1:00 PM. An interment service will be held at 12 Noon, Monday February 18 at Sharon Memorial Park, Canton St., Sharon, MA. This obituary is protected by copyright by Burke & Blackington Funeral Home. Proudly Serving the Community of West Newton. Burke & Blackington Funeral Home is located in the state of Massachusetts, United States.